Lace making is a process that compels operator’s attention for a long time. Lace maker is to mind her several previous steps and foreknow the next steps. Nothing must draw away her attention from current work. It becomes possible if lace making is well grounded in all details. First of all bobbins are to be wound in proper quantity and placed next to the pillow. The bobbins are to be placed in so manner that threads can never be entangled. 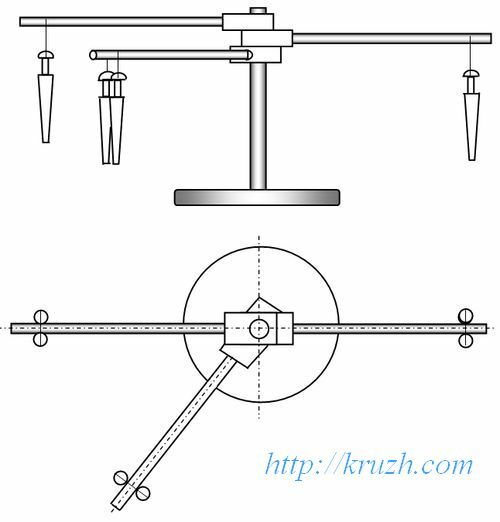 An “umbrella” rest is able to carry much more bobbin pairs. That is why authors of the book preferred this type of device (Fig.4.21, Fig.4.22). 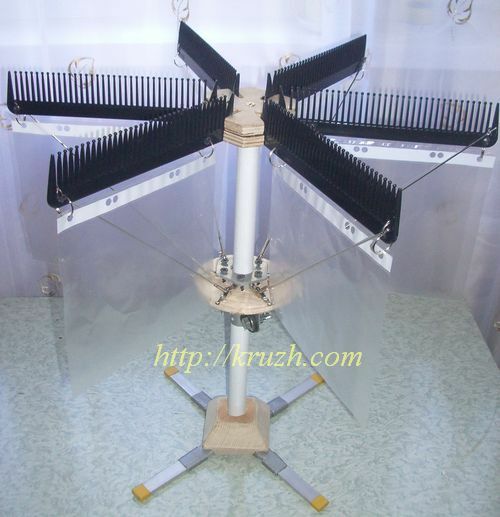 The contrivance contains six combs that are fastened at the upper unmovable platform with hinges. This platform is set on the top of the rod. The rod rests on the lower unmovable platform. 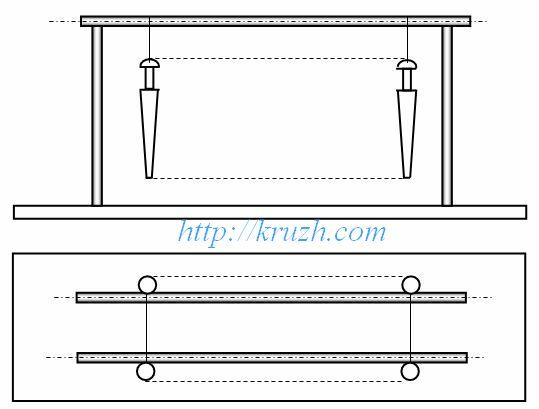 Steadiness of the rod is provided with four slats that are fastened with hinges. The third platform moves along the rod between two mentioned platforms. 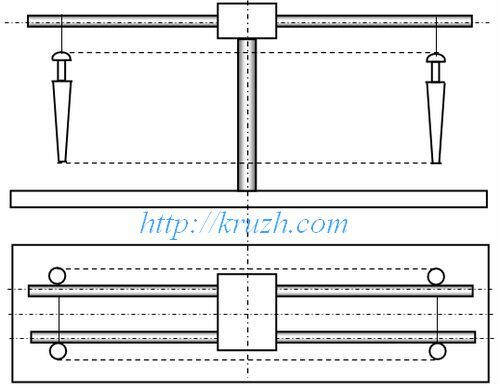 In the normal state the movable platform is lifted and fixed tightly together with the upper platform. Combs lay on the movable platform and make six horizontal rays (camomile petals). At least dozen of bobbin pairs can be hung at every comb. 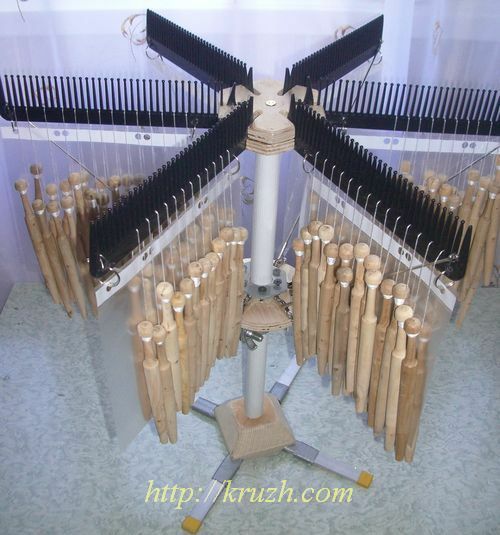 Kruzh.com - website about bobin lace and handmade.